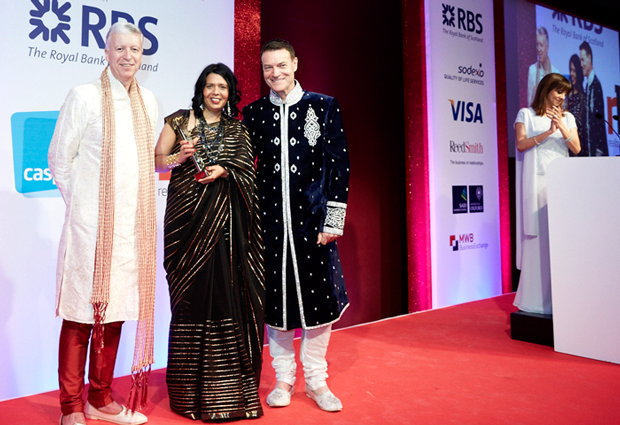 Professor Dr. Geeta Nargund, a global pioneer in Natural/Mild IVF and active campaigner for female fertility rights, has been awarded the Chairman’s award for most outstanding candidate at the Asian Women of Achievement Awards 2014. 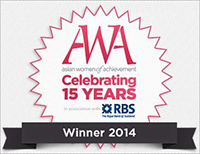 This special award is presented by the Chair of the judging panel to one outstanding woman of achievement who, the judges feel, most exemplifies the values and aspirations of the Asian Women of Achievement Awards. As Medical Director at Create Fertility IVF clinic’s and Senior Consultant at St George’s Hospital in West London, alongside her leading roles in multiple charitable foundations, Geeta has been a pioneer in researching safer and more affordable methods of IVF. This summer will see the opening of her flagship IVF clinic, in St. Paul’s London, which will increase national access to safer, more natural IVF methods, and grow London’s overall IVF capacity by up to 30%. Held on June 4 2014 at the London Hilton on Park Lane, illustrious guests included awards patron Cherie Blair, Princess Badiya bint El Hassan, Elizabeth Hurley and Dame Kelly Holmes.